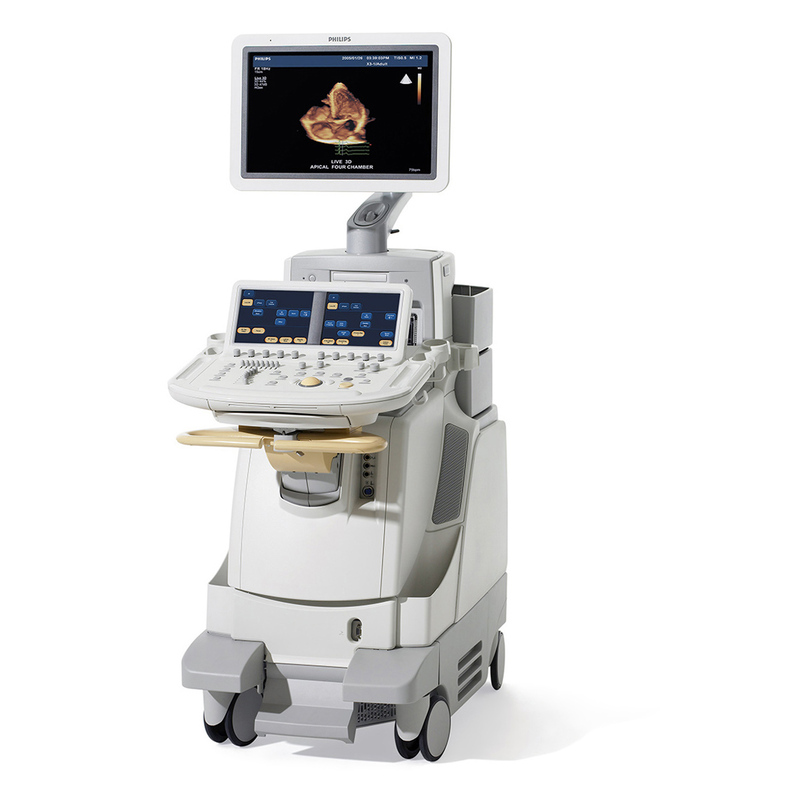 The Philips iE33 cardiac ultrasound is a quantitative echo system designed to expand your clinic’s imaging capabilities while providing premium imaging excellence and system ease-of-use. Through a combination of intelligent design and controls, as well as its use of Live 3D (4D) imaging and PureWave xMATRIX technology, the iE33 ultrasound brings you optimal clinical performance and efficient patient flows. Its easy-to-use interface, adjustable monitor, easy-connectible transducers, and maneuverable design, the iE33 ultrasound was also designed for optimal user comfort. From its transducer’s PureWave xMatrix technology to its multiple imaging technologies, the Philips iE33 ultrasound is ideal for addressing clinical needs and managing patients with cardiac disease, heart failure, valvular disease, and congenital heart disease. The Philips ie33 is preferred by many sonographers for a few key reasons: Speed, Image quality, ease-of-use. The ie33 and the Vivid e9 compete for the top-spot as the best cardiovascular ultrasound on the market. As far as image quality, many consider it to be uncontested for the top spot. We find that some sonographers are die-hard Philips users and prefer a refurbished ie33 for sale, while others prefer the features of the GE Vivid e9. It can be a tough decision, which typically comes down to a personal preference or budgetary decision. Regardless, you can’t go wrong with a used Philips ie33 ultrasound machine.